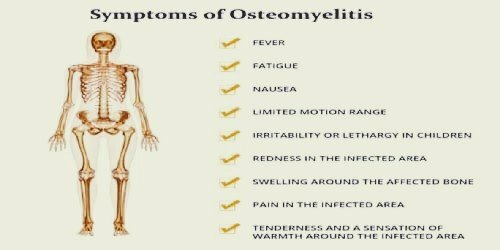 In this article we will discuss about Various Symptoms of Osteomyelitis. So let’s get started. Severe Pain, Swelling, Redness and Tenderness at the site of infection. In the next article we will discuss about Diagnosis,Types and Causes of Osteomyelitis. NextWhat is Hospital Acquired Infection?